If there’s one thing on the brain amidst all its exciting announcements and new themes, it’s Ultra Music Festival. 2019 is shaping up to take on its plethora of new island festivities on a prosperous note, with one major highlight being RESISTANCE, gearing up to host the Carl Cox MegaStructure for the entire weekend. Blazing a trail through Ultra this year, RESISTANCE Global Ambassador Carl Cox will be headlining the MegaStructure all 3 days for the first time ever, and crowds are undoubtedly going to be pouring in to experience the show stopping sets. Saturday is already lined up with an exclusive B2B set with a special guest, and that’s just one of the thrills set to cross the MegaStructure sensation. Cox has remained a leader at the forefront of electronic music, investing his whole self into one of the most meaningful careers the industry has ever seen. When it comes to producers who have truly seen and done it all, Cox is at the apex of that roster. Existing and carving a place for himself during core years throughout the 80s and 90s when house music exploded, Cox’s craft developed on a level that many DJs today cannot even imagine. Working with the technology of the time, original producing, live mixing, and performances were massively different than they are today. To have someone with such extensive knowledge and wisdom of how electronic music has progressed from underground clubs to absolutely enormous and world-renowned festivals such as Ultra, that’s what makes this year’s MegaStructure so special. The combination of one of the world’s leading festivals with one of the world’s leading artists is out of this world. Witnessing the champion growth that Ultra has undergone from year 1 to its 21st anniversary this year is pretty remarkable. Spreading to numerous countries around the world, Ultra Miami consistently reigns in exceptional amounts of crowds who crave the outrageous experience and production put on by Ultra Music. 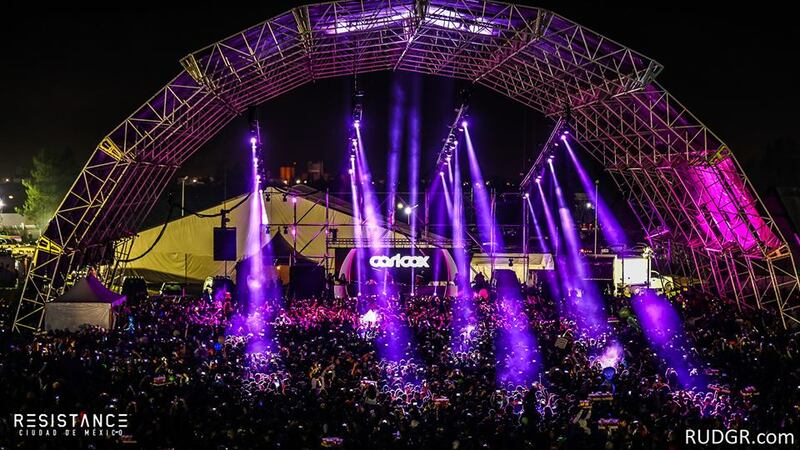 With 2019 commencing brand new concepts and features such as the MegaStructure weekend of Carl Cox, the transition of Ultra to its new home on Virginia Key is presenting itself in a promising light that dance fans across the globe are psyched for. For those who caught last year’s documentary What We Started, audiences got an inspirational look at Cox’s story and how he literally swept the scene with pure talent as both a a DJ and producer, as well as a raw energy that made his live sets a unique and special performance one after another. At a time when the industry is changing at a wildly rapid pace, especially with the surreal technology innovations that break just about any boundary production and live performance could foresee, Cox remains not only one of the most insightful artists to date, but a genuine presence to have leading the hundreds of thousands in attendance at Ultra 2019.